Feel free to contact me. I am more than happy to chat with similar entrepreneurial minded people. Skype is the best way to contact me. Make sure when you send me a contact request you give me a little bit more information so I know why you are contacting me otherwise I’m afraid your contact request may be declined. Thanks. 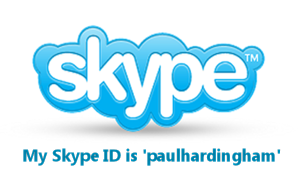 You can download Skype for free here. If you really want, you can email me on the address shown just above. However, like I say, the best way to contact me is via Skype as it’s far more direct and personal. Tel: 01423 740990 (UK) or dial +44 1423 740990 if you are calling from outside the UK. Which ever way you decide to contact me, I look forward to hearing from you soon!